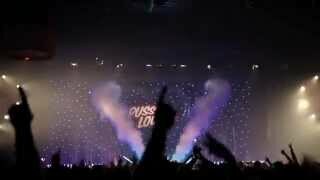 The ultimate special effect to create an impression on your audience is with our famous CO2 Jets! 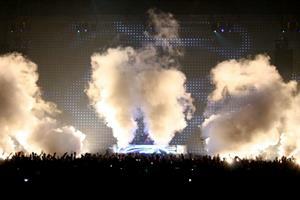 Our CO2 jets for hire (also known as CO2 cannons) create cryogenic fog plumes of approximately 8m high. The effect is very reliable and repeatable because of its high quality and reliable valve. You may have seen our CO2 jets at the NBL Perth Wildcats games at Perth Arena? Mega Vision provides and operates our jets for the game night productions. The Jets can be mounted in truss constructions or placed on stages. These CO2 jets must be used with liquid CO2 tanks. When the CO2 comes out of the Jets there will be a loud sizzling sound which makes the effect even more spectacular! Want to hire CO2 Jets in Perth? Mega Vision Sound and Lighting have you covered! The CO2 Jets we use have been used at events and large festivals all across Europe, including Glastonbury, Tomorrowland, Creamfields and Eurovision. If you want to make a big and memorable impact at your event, our Jets are the way to do it! Have questions about our CO2 Jets for hire? No worries! Simply contact us and we will be happy to go through your queries.